The Juilliard String Quartet was formed 72 years ago, yet amazingly Astrid Schween is only the group’s fourth cellist and 15th-ever member—such is the group’s prestige. Schween, also a Juilliard alumnus, made her debut as a soloist with the New York Philharmonic and was a longtime member of the Lark Quartet before joining the group in 2016, becoming its first woman and first African American member. In advance of the Juilliard String Quartet’s return to Da Camera on April 6—a celebration of our 30th anniversary, as the quartet was the first concert presented by Da Camera in 1988—we spoke to Schween about her love for the cello and how she found her footing as the first new Juilliard Quartet cellist in over 40 years. Q: What originally drew you to music, and to the cello in particular? A: I grew up an only child and had two parents who were incredible classical music buffs. There was always incredible, gorgeous music playing in our house, we’d sit together in the evenings and listen. The first time I heard a cellist it was at Tanglewood Music Center in Massachusetts, and that was it. I fell in love with the instrument and the sound of it. I got very serious very quickly as soon as my parents figured out that such an instrument came in baby sizes. My mother had been very serious about the piano in her youth, but her parents wanted her to pursue something more practical, so she became a nurse, and once she recognized I had a musical ear and ability, she was all too happy to support it. My first teacher was actually Yo Yo Ma’s father, so I was very fortunate, and then it just took off from there. Q: What’s the biggest difference between performing as a soloist and being a part of a quartet? A: I think about that a lot in my playing and in my teaching. As a soloist there is much more emphasis in being the primary holder of the melody, and shaping it every way you can by playing with great power and melodic leadership. As a cellist in a string quartet my job is also to pay attention to melody but from a different place, to give it contour and atmosphere from providing the baseline. It’s a different set of skills, so I really enjoy keeping up my solo playing, and they inform each other—my solo playing is better because I spend so much time in a quartet, and vice versa. Q: It’s pretty incredible that you are only the fourth cellist in a group that’s been in existence since 1946. What is it like to step into Joel Krosnick‘s shoes after his incredible tenure? A: It’s huge—those are big shoes. He’s such a legend, such a great man, a great mentor and a fine musician. He’s big and his contribution to this quartet is enormous. That wasn’t lost on me—I grew up in Manhattan and went to as many Juilliard String Quartet performances as possible. The quartet did a nice thing for Joel and for me, they announced his departure a year in advance so he had a great final year with the group with everybody celebrating his role in the group while they had me waiting in the wings. We performed a cello quintet—two violins, two cellos—on several occasions, including here at Lincoln Center, and it was a great way for me to start my work with the group with Joel present and to see how he worked with the group, how he thought, and to be this extra element that influenced them all. It was a very special way to pass the baton—there’s not a lot of professions where that kind of collaboration and overlap can happen, and I was very grateful. Q: How do you think the quartet has evolved during your tenure? What are the group dynamics like? A: People who listen and are familiar with the group would still be able to say, “Oh yeah, that’s the Juilliard String Quartet.” But I bring a new approach. I’ve changed their approach and they’ve changed mine, and together we’ve morphed into something new. The reason we were attracted to one another as potential partners is we share same values as musicians—without that you can’t even go forward. You have to feel simpatico. As we’ve performed together we’ve gotten more comfortable. We’ve played so many concerts together there’s a feeling of familiarity and understanding, of how each other think and what certain signals mean both physically and musically. There’s less thinking going on in performances now and more intuitive response. We rehearse every day for hours. At first you’re just kind of observing and feeling it out but this really feels like what I do now. And I love the guys, they are wonderful people and extraordinary musicians and instrumentalists. At the end of each day’s work I come home exhausted and challenged to the max and inspired to make more progress. Q: As the first woman and the first African American member of the Juilliard String Quartet, do you think of yourself as a role model? Of course I’ve given it some thought, and while I see myself first and foremost as a cellist, I understand there are other ramifications—it’s symbolic. I am grateful and happy to be the person to be able to step into this role at this time, it’s great to be working with like-minded people, and it felt like a very natural step to take, considering my background and my performances. When I’m teaching or do master classes it does strike me that there are kids in the audience that can identify with each of us in some way, who can see themselves in us, and that’s so important. And I know I’m the beneficiary of a lot of struggle in the generations that came before, so I’m very cognizant and appreciative of that. 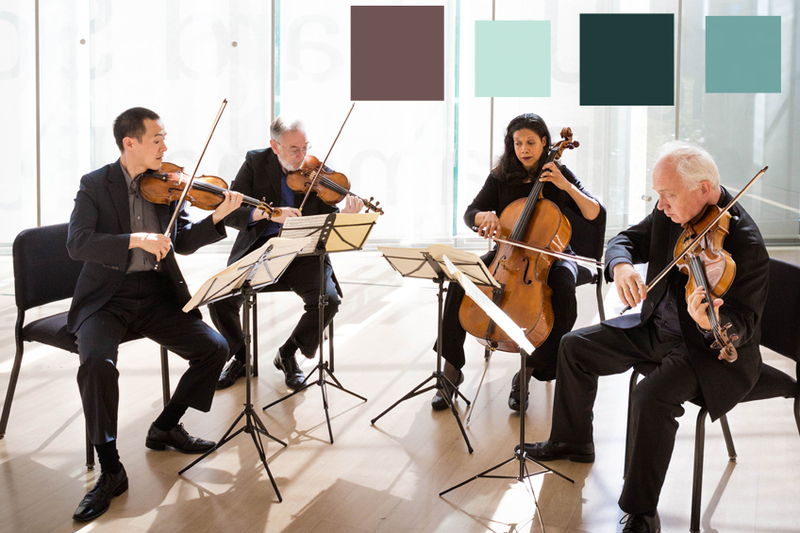 Da Camera presents the Juilliard String Quartet on Friday, April 6, 2018, at 7:30 pm at Zilkha Hall, Hobby Center for the Performing Arts. Tickets start at $37.50 and can be purchased online or by calling 713-524-5050.